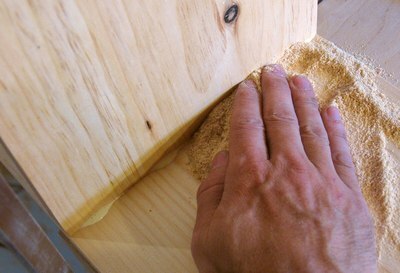 When gluing pieces of wood together, having some glue squeeze-out is inevitable. 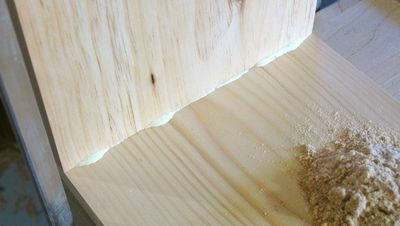 The only way to make sure there is enough glue to cover the whole joint is to put a little bit more glue in than is needed, so that any excess squeezes out of the joint when its clamped. But what to do with the excess? If its just a little bit that squeezed out, its best to leave it in, and take it out with a chisel after its mostly dry. If its a lot that squeezed out though, this isn't necessarily the best. Wiping it while its still wet tends to spread it out, which is not desirable. Even a very thin coating of glue will show up very clearly, once you put varnish on it. A technique I got from my dad is to clean it up with sawdust. I like to use sawdust from my bandsaw for this, though table saw or belt sander sawdust would work well too. 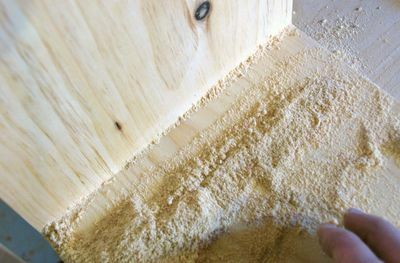 Just rub the sawdust against the glue, and keep rubbing it. 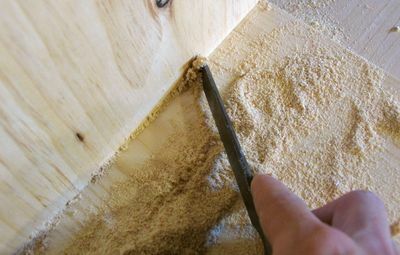 The sawdust absorbs the glue, but doesn't smear it around very much. After rubbing the glue off with the sawdust, there will still be a bit of sawdust stuck in the corner. And that sawdust is best scraped out with a chisel, while its still wet. This does cause a minor amount of glue smearing, but much less than trying to wipe the glue as a whole. You could also wait for it to dry before taking the last bit of sawdust out, though its a bit more work to get it out once its hardened.